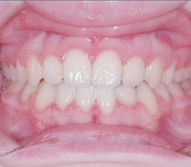 See the great results our patients have achieved with the 404 Dental Office! 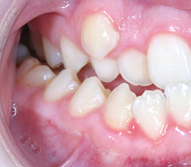 The 404 Dental Office is proud to keep our patients smiling with our complete range of dental services. 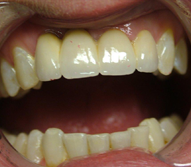 From straight smiles created by our board certified Orthodontist, to restore smiles with dentures, and implants, to cosmetic dentistry treatments along with bright white smiles offerred by our teeth whitening services, browse this selection of these dental before and after photos. 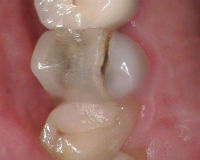 Contact 404 Dental Office today for your FREE Smile Analysis. 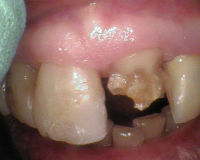 The patient lost her front tooth and the surrounding teeth had very large fillings. 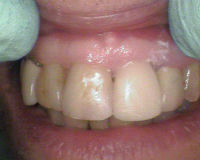 A four-unit all ceramic bridge gave beautiful esthetics and support to adjacent teeth. 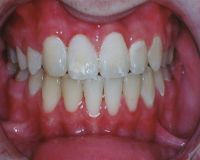 She was ecstatic with the results and looking forwad to smiling again! 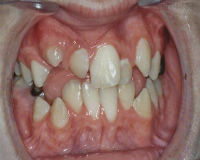 This patient had significant crowding of his teeth, upper back teeth biting inside his lower teeth (crossbite), a large discrepancy between the midline of the upper and lower teeth, and a very poor fit of the teeth in general. 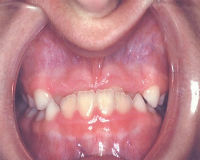 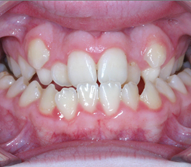 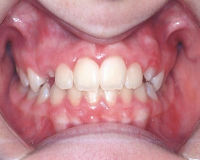 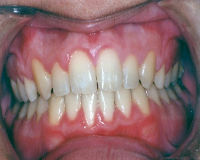 Orthodontic therapy which included palatal expansion was used to correct these issues. 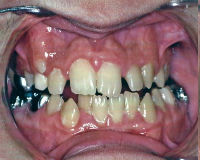 This young patient's lower jaw was larger than her upper jaw causing all of the upper front teeth to bite inside the lower teeth. 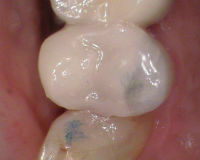 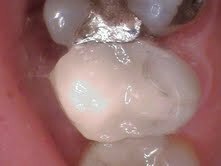 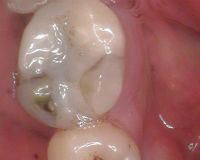 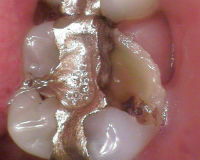 Even though many baby teeth were still present, this is the best time to correct this type of problem. 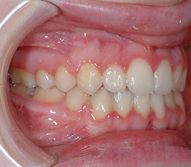 A short period of limited orthodontic therapy corrected the problem before all the permanent teeth were present. 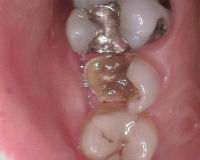 No further treatment was required. 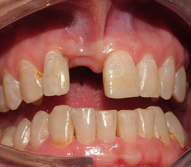 The impaction had resulted in insufficient bone to be able to save both of the incisors and so the lateral incisor was sacrificed, the central incisor brought down from the roof of his mouth and the canine used to replace the missing lateral incisor.